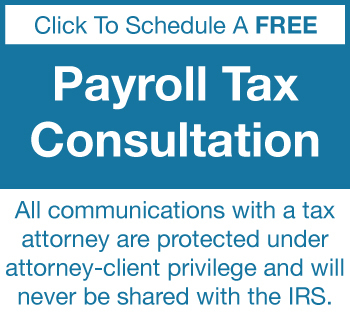 Find answers to the most frequently asked questions about payroll taxes and the IRS trust fund recovery penalty from a tax attorney with over 25 experience successfully representing clients before the IRS. What is the IRS trust fund recovery penalty? The trust fund recovery penalties and the internal revenue code, what it says is that in the event that you're a responsible party who willfully failed to pay the payroll taxes, then that means that the IRS can assess the trust fund portion of the payroll taxes against you individually. The theory behind the case is that you are a fiduciary withholding the money from your employees and remitting it to the IRS. Since you're holding those funds in a representative capacity, in a fiduciary capacity, if you don't submit that to the IRS, then they can go after you individually for those funds. The IRS ... The trust fund recovery penalty will be assessed against you in the even that you are a responsible party and you willfully failed to pay the payroll taxes. A responsible party is any officer, director, shareholder, or any employee of the company, that decides which creditors get paid. They're generally a signatory on the bank account, but not always, if they make the decision as to which creditors get paid. Number two is if you willfully failed to pay the payroll taxes. What that really means is it's a very low standard and the low standard is that in the event that you paid other creditors before you paid the IRS payroll taxes, then that meets the willfullness standard, so if you paid rent, mortgage, other expenses, the IRS will even argue gross payroll, before you paid the payroll taxes, that you could be a responsible party. What can I expect from a payroll tax audit? The first thing you'll get is a letter from either the IRS or the California Employment Development Department. If you get a telephone call, it's generally a scam, but if you do get that letter, it's important at that point to put together all your documents and make a good presentation at the first initial audit interview. During that period of time, the IRS auditor basically takes a look at the entire case and then makes a determination what his audit plan is going to be for the rest of the case. If you're well prepared for the first audit, things go smoother throughout the audit. That means putting together the written contract, putting together classes of workers. There's a lot of things that need to be done at the first audit. Then after the first audit, you'll have a series of two or three or maybe four audits thereafter that you'll talk about each one of the different categories and go over each one of the 20 factors and go over all the facts and circumstances that relate to that. Then at the end, the IRS will issue it's determination as to what the auditor believes the results should be. You can disagree with that but the only way to disagree is to timely appeal within 30 days of the letter, so make sure that the IRS and the EDD has your current address and that you respond to all correspondence. If you do that, you can do well through a payroll tax audit. How do you win a payroll tax audit? The IRS is one of the largest and most aggressive creditors on the planet. They'll aggressively pursue an independent contract reversing employee payroll tax audit. The reason they do that is the IRS is then the middle man that sits in the middle and collects the money from the employer on behalf of the employee. The most important thing is to aggressively prepare before the payroll tax audit. Take a look at all of the workers that you have, that you're treated as independent contractors. Put them into different categories and then look at each one of the categories and go through the 20 factors for that category. Then put together your independent contractor agreement, explain all the facts that occurred during that person's employment. They tend to show why this person is an independent contractor. Be prepared at the initial audit so you know exactly what's going to happen. Preparation is the key. This tax law firm will put together all the evidence, all the information, and get additional information for each one of the workers in each one of the categories in order to put together a very good, legitimate argument for the Internal Revenue Service in order to win a payroll tax audit. The true difference between an independent contractor and an employee is whether the employer has the right to control the manner and means of how the worker accomplishes the desired result. There are a lot of different factors, the most important of which is you have to have a written contract between the employer and the worker. The second thing is whether the worker actually has his own business, whether they market to others, whether they've got a business card, a business license, pay their own taxes, whether they have other customers, and they work for others. Those are the two most important factors. There are 20 factors in the internal revenue manual that basically provide the difference between an independent contractor and an employee. From a state law matter, from the state California Employment Development Department, the most important factor is whether the position requires a state license. If the position requires a state license, then the EDD is gonna hold that person to be an employee. There's a lot of things that you can do in order to treat your workers as independent contractors, not only before the fact, but after you get into a payroll tax audit. It's important to build those facts aggressively. Put together all the evidence and all the documentation and present a good case. For a complete list of the 20 factors, please visit my website. It has all 20 factors listed on there, and you can use that as a checklist. What are the consequences for failing to file 1099s for independent contractors? 1099s are due on January 31st of the following calendar year for each year. They should be issued to every independent contractor in excess of $600, and not to corporations. In the event that you don't file the 1099s to the independent contractors that you should, and the IRS or the EDD audits you, then they've got certain consequences that you can go into. The number one thing is the IRS will try to make you pay their taxes. And the way they do that is they hit you with a 28% of the amount that you failed to report as a tax. Well what that's really doing is that's having you pay the independent contractor's tax. There's several ways in order to get out of that. The biggest and most important way is that if you file the Form 4669, and you have the worker sign that they took that income into income on their own individual income tax return, then you're relieved of the amount of the tax, the 28%. But, the IRS still hits you with the penalty on that, even though the worker took the money into income. The next consequence is that the IRS can disallow the deduction altogether. And the lowest consequence of all, which is what the IRS used to do for several years, is assess $100 per independent contractor fee. It's important that before the payroll tax audit gets going that you prepare yourself well so that you can fight the payroll tax audit during that period of time. When is failure to pay employment taxes considered embezzlement? The IRS can assess two different type of payroll taxes. One is from a civil matter, and the other one is in a criminal matter. In a civil matter, the IRS only has to show that you willfully failed to pay the payroll taxes by paying other creditors. When you pay rent, utilities, all the other expenses, including gross payroll before you pay the payroll taxes, then they can assess the civil penalty against you. In a criminal matter it's different. They have to prove you specifically intended to evade taxes by paying other creditors before you paid the IRS. Although standards tend to be somewhat similar, the IRS looks at badges of fraud in order to determine whether you criminally evaded payroll taxes. The badges of fraud in a payroll tax audit is going to include items that you specifically intended to pay all the other creditors, not pay the internal revenue service. They take a look at your general ledger, and your check register to see who you paid during the period of time that the payroll taxes were accruing. In a criminal tax audit, they take a look generally a three to a six year period of time, because they want to see a pattern of paying other creditors as opposed to an isolated event about paying other creditors before you're paying the IRS. Additional badges of fraud include other bad acts, other things, prior criminal history, double sets of books, offshore bank accounts, false entries in the books, and the number one badge of fraud of all is the false statement to the revenue officer, which is a statement made by you that's different than what they believe the truth to be. Another thing that's really important is, in order for the IRS to be able to prove a criminal case against you, they take a look at all facts of circumstances, anything that has happened in the past, your prior criminal history, other bad things, litigation with other people, business partners gone bad, maybe an ex wife that will testify against you. Those are the things that the IRS generally looks at in order to collect the evidence in order to prove the specific intent on a criminal tax case. In the event that you're involved in a corporation that doesn't pay its payroll taxes, it's imperative to collect the evidence, and the documents early in the case, and talk to other witnesses, in order to get the information together so that we can make a good presentation to the IRS revenue officer early in the case, so that you can be one of the few excluded individuals that are not gonna be assessed the trust fund recovery penalty. What does the IRS look at to assess the trust fund recovery penalty? The revenue officer, when they first get the case, will take a look at a number of different factors to determine who they assess the trust fund recovery penalty against. The number one factor is it's very easy for them to take a look and see who the signatories are on the bank account. If you're a signatory on the bank account they'll probably assess the trust fund recovery penalty against you because they'll allege that you had the authority to use the funds in order to pay the payroll taxes but the funds were used for other purposes. The other factors are, if you're an officer, director, shareholder or involved in the corporation enough that you make the determination as to which creditors get paid. That can be done in several different ways. Either a signatory on the bank account or, in the event that the officers, directors, shareholders, whoever it is that gets together on a regular basis, when the company is short of funds, who decides who gets paid? There'd be some type od a general ledger or some type of a cash disbursements journal and there'll be tick marks on those saying that these people decided that these all other creditors would get paid when there's limited amount of funds. That's what the IRS usually determines as to who gets assessed for trust fund recovery penalty. In addition, they'll take a look at any officer, director, shareholder or main person in the corporation, and if you're one of those people, they'll look at all the facts and circumstances to determine whether they're going to assess the trust fund recovery penalty against you. In the event that you are a primary person in the company that doesn't pay his payroll taxes, please contact this law firm. We'll build up the facts and evidence early in the stage so we can go to the revenue officer in order to show that you're not a responsible party who willfully failed to pay the payroll taxes. Can the IRS impose the trust fund recovery penalty against more than one person? The IRS will impose the trust fund recovery penalty against any officer, director, or shareholder who willfully failed to pay the payroll taxes. Anybody, including an officer, director, shareholder, or main employee which can include occasionally bookkeepers, accountants, those type of people if they have signature authority over the bank account and they control which creditors get paid. If you make a determination as to which creditors get paid and you pay other creditors before you pay the IRS then they can impose the trust fund recovery penalty against you. It doesn't matter. The corporate shell is not a defense. It doesn't matter that you're merely an employee. If you had the right to determine which creditors got paid. In the event that you're involved in a corporation that doesn't pay its payroll taxes, it's imperative to collect the evidence and the documents early in the case and talk to other witnesses in order to get the information together so that we can make a good presentation to the IRS revenue officer early in the case so that you can be one of the few, excluded individuals that are not gonna be assessed the trust fund recovery penalty. What do I do if the IRS wants to come after me because the company I work for didn’t pay payroll taxes? One of the most shocking things in the Internal Revenue Code, is when an employee can be potentially held responsible for the corporation that they work for's unpaid payroll taxes. The people that can be responsible for that can be any officer, any director, any shareholder, and any worker that has control over the finances. It's generally somebody that's a signatory on the bank account, but not always. A lot of times, it's the accountant. A lot of times, it's the bookkeeper. Any of those people can be a responsible party. In the event that the IRS believe that you could potentially be a responsible party, you have to organize your documents, and evidence, in a logical format, immediately, because the IRS Revenue Officer is deciding who could potentially be responsible, and you may be one of them. It's important to put together a real good presentation early in the engagement. This tax law firm will put together all of your evidence, and supporting documentation, in a logical format, and make an excellent presentation to the IRS Revenue Officer, in order to not hold you responsible for the trust fund recovery penalty. What if I am an absentee shareholder, merely on the board of directors or a non-passive partner in a corporation that does not pay its payroll taxes? If you're involved in a corporation but you're not very active, the IRS revenue officer, when they make their determination as to who to assess the trust fund recovery penalty against, they'll take a look at a lot of different factors. They'll look at your involvement in the corporation, they'll talk to other people and see how involved you really are in the corporation but the number one factor and the easiest thing for the revenue officer to do, is to take a look and see who the signatories are on the bank account. So, if you're a distant shareholder or not involved very much as a board member, or you're a passive investor but yet you're a signatory on the bank account, then the IRS will probably assess the trust fund recovery penalty against you. It's a very easy thing for the IRS to do. The reason that they can get away with it is because if you're a signatory on the bank account, you have some involvement as to which creditors get paid. Whether you actually use that authority or not depends on the facts and circumstances. It's imperative that if you're involved in a corporation that does not pay it's payroll taxes, to contact this tax law firm. We will build up the facts and the evidence and make a presentation to the revenue officer early in the case, to show that your involvement is so limited that you should not be assessed the trust fund recovery penalty. What is the statute of limitations for the trust fund recovery penalty? The statute of limitations on the trust fund recovery penalty is the IRS has to assess the trust fund recovery penalty within three years of the April 15th following the calendar year that the payroll taxes were due. So if it's first, second, third and fourth quarter, that's technically even though they're due earlier, technically due for statute of limitation purposes April 15th plus three more years the IRS has to assess it during that period of time. In the event that they don't assess it within that three-year period of time, they're barred. But generally speaking what happens is that the IRS Revenue Officer does their investigation, issues the 60-day letter. In the event that you want to deal with the Revenue Officer or you want to deal with the Appeals Officer at a later time, they'll ask you to extend the statute of limitations because if you don't extend the statute of limitation they will assess it within that three-year period of time. So you have to determine do you want to deal with this Revenue Officer or this Appeals Officer, and if do, sign the extension of the statute of limitation. If yo don't and don't sign the extension of the statute of limitation, they will assess it and you'll go through a different process. Can I file an offer in compromise to settle trust fund recovery penalty? In a worst case scenario in the vent that you are a responsible party who willfully failed to pay the payroll taxes, the IRS Revenue Officer assesses it against you and then you've come to appeals and you still did not win just because of the facts and circumstances, you can still get out of the trust fund recovery penalty through an offer and compromise. The offer and compromise is a calculated formula that they determine how much money you have the financial ability to pay in order to settle the trust fund recovery penalty assessment. The offer and compromise formula is generally gross income less business expenses less necessary living expenses, gives you an amount left over at the end of the month. Multiply that times either 24 or 48 depending on how long of a period of time you want to pay the offer and compromise amount over, plus equity and other assets. It's important when doing the offer and compromise that you fit your situation into the IRS' formula. You have to marshal your assets and your income in order to fit into the formula. If you do that, you can get a good successful offer and compromise. Can I appeal the trust fund recovery penalty? So procedurally what the revenue officer does is first collect the information in the document in order to determine who they're going to assess the trust fund recovery penalty against. Then they issue a 60-day letter and it gives you 60 days in order to appeal. In the event that they issue the 60-day letter and you don't appeal timely then they can assess the tax against you directly, which means it then put you in a position that you have to full pay one employee's payroll taxes for one quarter and seek a refund. But the meantime the assessment is against you. They'll record a notice of federal tax lien and they'll try to collect the taxes from you during the penancy of the appeal. On the other hand, if you appeal timely, within the 60 days, then the case will be transferred to the IRS Appeals Office and they'll take a look at all the factors for and against you to determine what whether the trust fund recovery penalty assessment is appropriate. This tax law firm will organize all the information, collect the evidence, get the testimony from the witnesses in order to make a good presentation to the revenue officer so there's a possibility they don't assess it against you in the first place. 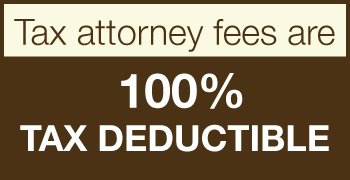 In the event the IRS does assess the trust fund recovery penalty against, we will put together all the evidence and documentary evidence and the witnesses' statements in order to appeal to the appeal's officer in order to prove that you are not the responsible party and you did not willfully fail to pay the payroll taxes.